Dan offers a range of garden maintenance services : Lawn Mowing, Garden Clearance, Hedge Cutting, Turfing & Pressure Washing and more. Having made the giant step of leaving a career in the city, I now have the exciting opportunity to develop and run my own garden maintenance business. With many hours no longer lost on an arduous commute I can now throw myself into the outdoor life that I have craved for so long. I now very much enjoy seeing the results of the work that we do as well as having a sense of achievement of completion of a job I pride myself on making sure that I do the job to the very best of my ability and with a smile on my face! I feel very strongly that if I achieve this then I am sure to then put a smile on my customer's face! Dan has been working for us for two years now. He has been reliable and very pleasant to h...ave around. He is always happy to help with whatever we ask. Dan has recently done work in my garden including shrub pruning, ground levelling, grass s...trimming and general tidying. He removed all the waste and was at all times courteous and pleasant. His charges were very reasonable and I would definitely recommend him. Clearing away years of dirt and grime from patios and decking can have an amazing effect on any garden. Using the very powerful Stihl pressure washer allows us to remove even the most stubborn of dirt. All gardens can fall in to a state of disarray! 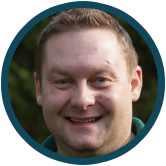 whether you are moving into a new house or rent a property that has become unmanageable, Dan is happy to retake the garden and remove all the waste at the same time. Hedges are quite of the focol point or boundary to a property. A well maintained hedge gives the general feeling of a tidy garden. Keeping a neat finish to you hedge can make all the difference. Using commercial grade Stihl hedge trimmers means Dan can tackle the most overgrown of hedges.